Looking for your lucky charm? 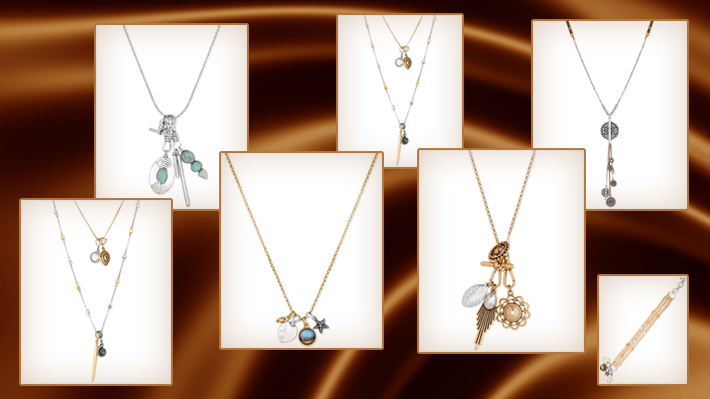 Here’s a list of the most popular lucky charm jewelry to help you choose. They don’t just call it lucky-in-love charm. You’ve got to have it to test it. This silver finish dainty necklace will compliment your weekend casuals and office formals equally. You never know when you need your luck to work its charm. This leather wallet in pebble finish by Tommy Hilfiger brings you luck in your cash and that’s where you want your luck to be. This silver finish layered necklace is not just a great lucky charm but also a cute accessory. If the lucky charm doesn’t work, the aesthetic charm would. A nice lucky charm for men and women. Leather bracelet with little danglers in the end. Pretty, casual, cool and lucky too. A must have in your wardrobe. A dainty chain with four charm pendants. Mixed textures and colors make this cute charming necklace chain playful yet intriguing. Make this fashion forward convertible charm necklace suit your style, a long chain necklace or a small neckpiece. Leather corded, multi accent charm necklace will add style to your wardrobe. The silver finish long necklace pairs great with casual clothing. Hint of blue adds to the subtle yet fashionable look of the neckpiece.